Tammy is the winner! Congrats! 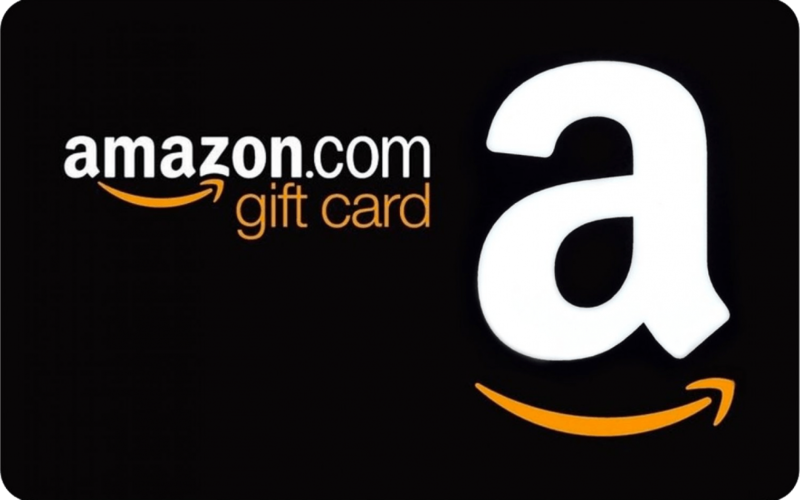 To welcome you to our new social media pages, we’re giving away a $100 Amazon gift card. To enter for a chance to win, all you have to do is Like Us on Facebook or Follow Us on Twitter, then leave a comment below. One month from now (on November 4th, 2017), we’ll randomly select one lucky winner. This may not seem like a lot of money to some people but to me it is. This will help a lot since Christmas is right around the corner!! I liked on facebook and tiwtter. I could definitely use this for the upcoming holidays! I liked on twitter @sarabird26, thanks for the chance. Followed (Twitter @Larescoe) and Liked (Lauryn Rescoe). I am a huge fan of Amazon, thank you so much for the opportunity! Liked on f/b !!!! Thanks for the giveaway !!! Followed on Twitter, thank you for the opportunity! I would love this, thanks so much! Liked ands followed. Thanks for the nice giveaway! I now follow on Twitter (@Emcompetes) – generous offer, fingers crossed! i love Amazon! thank you!! Twittered and FB’d! Thanks for the opportunity. Thank you this is awesome! Thanks. Liked and FB and following on twitter! I liked you on Facebook (Pam Krick Gurganus) and I’m following you on Twitter (@PJGurganus). Thank you for this awesome giveaway opportunity! This would help out my family so much. My daughter’s birthday is one week before Christmas and money is super tight! I could really use this right now! Thanks so much for the chance! Thanks for the chance! I want to buy me and my brother some new books for his birthday this week! Follow on Twitter, thanks for the chance to win! Looking forward to seeing some legal hints and tips. Hello! Thank you for the giveaway! I followed on Twitter! I follow you on Facebook. Winning this would be a godsend. Thanks for the chance! Thanks for the chance to win. this would be a great help with christmas shopping. Liked-sure would LOVE to win this great prize! Liked on facebook. gonna spend this on school supplies for my daughter who just started teaching this year! I liked on facebook,This would be so great for Christmas! Thank You! My cat needs to go to the vet. This would really help. I like you on Facebook. The amazon gift code would buy much needed items, including cranberry supplements to prevent Urinary Tract infection ( UTI), which I’m prone to. This is a great giveaway.Thank you for the chance to win! Liked you guys on FB. I could really use this gift card for holiday shopping. Thanks for the giveaway. Liked on Facebook, following on Twitter. Thanks for a great giveaway! This would be wonderful for my family…The holiday season would brighten up considerably.. I liked on Facebook. I am moving soon and will use the money to help with expenses. Liked on Facebook and Followed on Twitter! Thanks for the chance to win! Thank you for the opportunity. I’m from Venezuela and my country is goin through such a difficult time, there are people starving here and it’s getting harder to live out here everyday. I’d love to win this card, thank you so much!! Thanks for the offer – have followed you on Twitter. Followed on twitter. Thanks for the opportunity. This gift card would be great. Good luck with your New social media. Nice way to kick-off a campaign! Liked you on Facebook, that is a nice prize you are offering. It is Thanksgiving weekend over here…. so HAPPY THANKSGIVING to all Canadians. This would help me and my family my family more.then you know. I ‘Liked’ you on Facebook as Brenna Mack and followed on Twitter as MsBMackn. Thank you for the chance. This would be awesome to have in time for Christmas! Liked you on Facebook! Thanks for the chance! All Monetary gifts are always welcome. Liked and followed. Thank you for the chance! With the holidays and a new baby coming, this would be a blessing for my family. I liked on facebook! Thank you for being so generous! I liked on Facebook as Jan Peoples and following on twitter as disneyfan40 Thanks for this fun giveaway! This is a great opportunity for me to get my study packs and new clothing. This card worth actually a lot of money when converted to my country’s currency. I really hope I win because it’s my first time I’ll be putting in for such. I had gave Like and Followed on Facebook…. may I be opportunity for $100 Amazon gift Card. I will be thankful. I liked you on Facebook. Thanks for the giveaway! never won anything on the net like this before but still hoping for luck. have something to buy on amazon and this will be of great help. thank you so much! Happy Thanksgiving! And thank you for the chance to win this great prize of a $100 Amazon Gift Card. Hoping I am the lucky one 🙂 !!! Thanks for the giveaway. Liked and following. It would be great to win! I’m following on Twitter as @VestaJMason. Thank you so much for the chance to win! Following on twitter. Thanks for the opportunity! I liked & followed @cute88sky. Wow, prize amazon gc is fab. & splendid. 2 fingers snap. It is tight, fly & off the chain. Thank you for the kindness, the contest, and generosity. . Pleassee…:) Pick me, pick me! Starving artist here desperately needs the gc. A life changing exp. This voucher gift card is perfect to give someone as a gift for Christmas. I liked your Facebook and followed your Twitter. liked and following on Facebook. Thank you so much for the chance! I would really like a chance to win this gift card. I am from Jamaica and i shop on amazon a lot. Most sites do not allow non USA user to win anything. Thanks so much for the give away. Liked and followed. Thank you! Thanks. This would be a blessing. Right now. Thanks for the opportunity 🙂 This would be so very helpful. This is a good contest. I hope I win! I really enjoyed looking at your website. I just wanted to thank you for hosting the giveaway. This would really be wonderful to get. I follow on Twitter under @ersomethin. I could really use this. This will make a nice grocery trip for my family! I like you on facebook. Thanks for the great giveaway! I complete the rules and i want to enter to win. I liked your page on facebook. Thank you for having this. Done. I really wish I coulsd win this one. Goodluck to all of us and Merry Christmas. Liked on Facebook. Pick me please! Thank you! Followed on Twitter. Thanks for the giveaway! Thank you for the opportunity! This would be SO helpful with Christmas right around the corner! Thank you so much for the chance, it would come in so handy!! Thank you for the awesome welcome and giveaway! MY daugters birthday is coming up Nov 1st so this would definitely help out with that. Thank you so much for the opportunity. May the odds be in everyone’s favor!! I followed on Twitter, thanks for the opportunity. Jerry Marquardt Likes on Facebook & @versatileer follows on Twitter. Just followed you on Twitter! Thank you! Liked your Facebook page-Cindy Barr. Thank you for the opportunity! I’m a college student so this would be super helpful with gas and groceries! Liked on Facebook; thanks for having this giveaway! I am following on Twitter. My Twitter name is ce43174248. Thanks. Liked and folllowing on facebook. thanks forthis giveaway! This money sure would hep me out a lot! I followed you on Twitter (@klahaneridge). Great giveaway, thanks! Following on twitter as aly3360. Great giveaway ! Thank you for the chance to be entered, this would be great to have for the xmas time. followed on twitter- thanks for the chance!